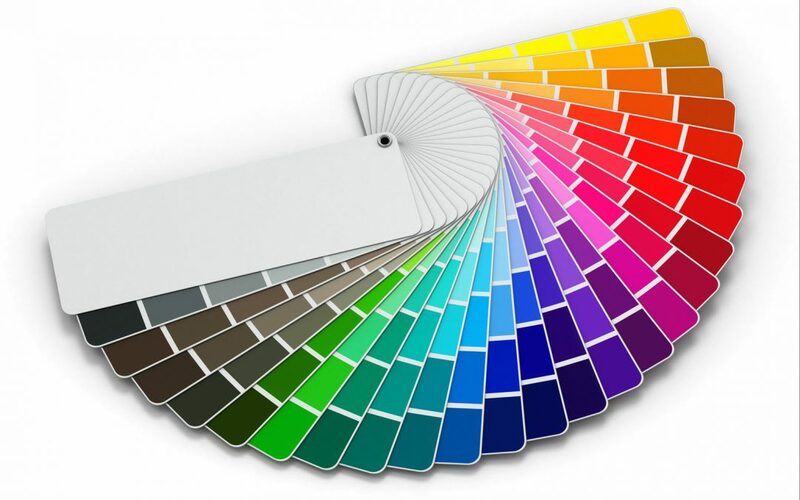 When choosing the right painting for your Buckeye house painting project, choosing the right color is just one step. Once you’ve decided on a shade, you will have to pick the type of finish you will want to use. Paint comes in many different finishes ranging from “high-gloss” to “matte”. Our interior painting services offer all types of paint finishes for your Buckeye house painting project. The most important things to consider are durability, washability, and shine. So, type of interior painting services you require will help narrow down what type of finish you will want to use. Along with durability, aesthetics and practicality are important for your Buckeye house painting job. Our experienced professionals will help you decide what finish is right for you when it comes to maintenance and ease of cleaning. Let’s explore the different options our interior paint services have to offer for your next Buckeye house painting job. For the most durability, high gloss is the best option. It’s a hard finish that is very easy to clean. It has a very gh sheen, meaning it is very shiny and reflects a lot of light. Sometimes, it can be a bit too much for interior painting jobs. This high shine can show off many small imperfections that might not be seen with a different type of paint finish. We recommend high gloss paint when using our interior painting services for trim, doors, cabinets, or furniture. These areas will need to be wiped down often so they are good choice to help prevent dulling or loss of color on these items. The next most durable option for your Buckeye house painting project is semi-gloss. It’s a bit less shiny than high gloss, but it is still allows for ease of cleaning. When your interior painting services include bathrooms or kitchens, this finish is a great option. It’s often used for areas that have moisture or drips of any kind. Many people choose semi-gloss for the kid’s rooms also because it is so easy to clean. Our interior painting services include this semi glossy, semi matte finish that has a softer quality to it. This is a nice, middle of the road option allowing for durability but with a more matte look. You can wipe it often without jeopardizing the composition of the paint. Many Buckeye house painting projects use this extremely versatile for their interior painting services. Somewhere in the middle of matte and satin is this finish which is aptly named eggshell as it is very much like the outside of an eggshell. This is a matte finish that has a subtle shine to it. It is still somewhat durable as long as you don’t use too much water and don’t scrub too hard. This finish is nice for lower traffic areas. Many Buckeye house painting projects use this finish for living rooms and dining rooms. High gloss paints reflect light and matte paints absorb light. Our interior painting services include using a matte finish to help hide imperfections. This is the type of paint you might use when your Buckeye house painting project includes textured finishes. However, it is important to keep in mind that this paint is the hardest to clean. Scrubbing can take some of the paint right off the wall. When your interior painting services require ceiling painting, this type of finish is the best choice. Consider the overall look you are going for when choosing a finish for your Buckeye house painting project. Darker paint should be more on the matte side since they tend to look shiny on their own. And also, take into consideration the amount of natural light the room gets. If it gets a lot of natural light, shinier finishes will show off more imperfections. You can mix finishes in a room if you’d like. For example, you could use matte on the ceiling, eggshell on the walls, semi-gloss on the trim, and high gloss on the furniture. Our interior painting services provide for all of these options for your next Buckeye house painting project. To learn more or to find the best Buckeye house painting company that provides quality interior painting services in your area then please contact our painting company and get a quote today.